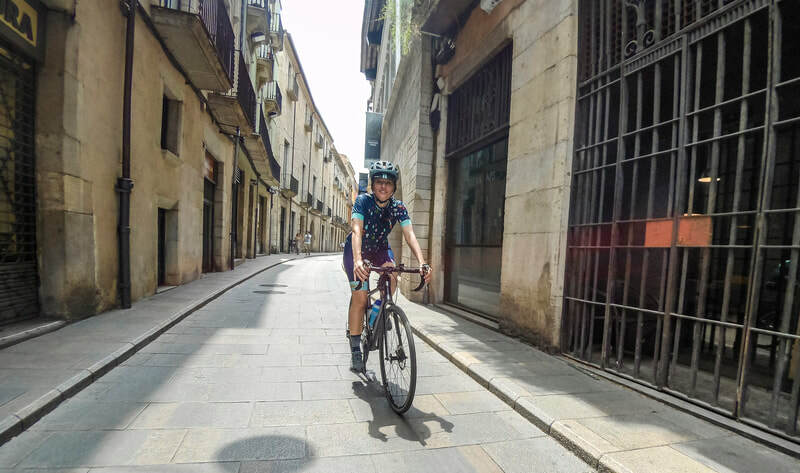 From low traffic mountain roads to zero traffic rail trails and medieval villages to the Mediterranean coast, with a mix of great small hotels and fine dining, this is a cyclist's dream tour! Road or Suspension Touring Bike Hire. GPS preloaded with Route Maps. 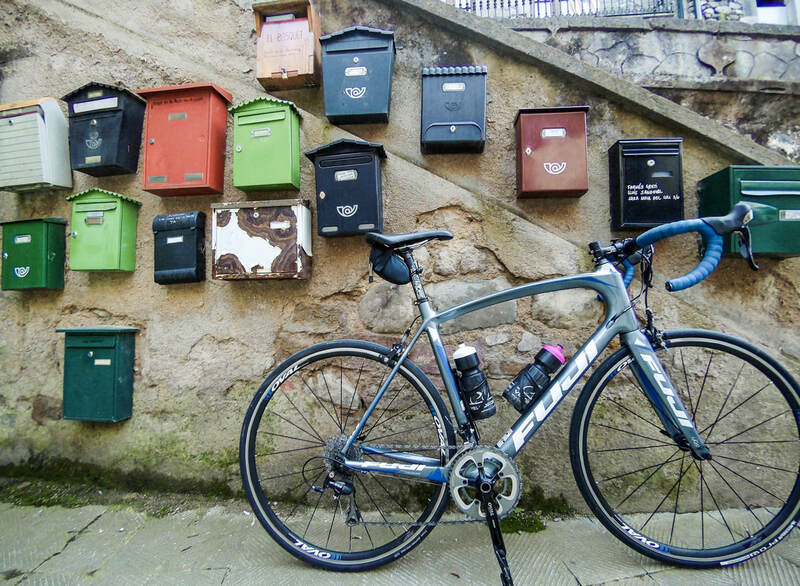 The Catalan province of Girona has a solid reputation as a cyclists paradise. 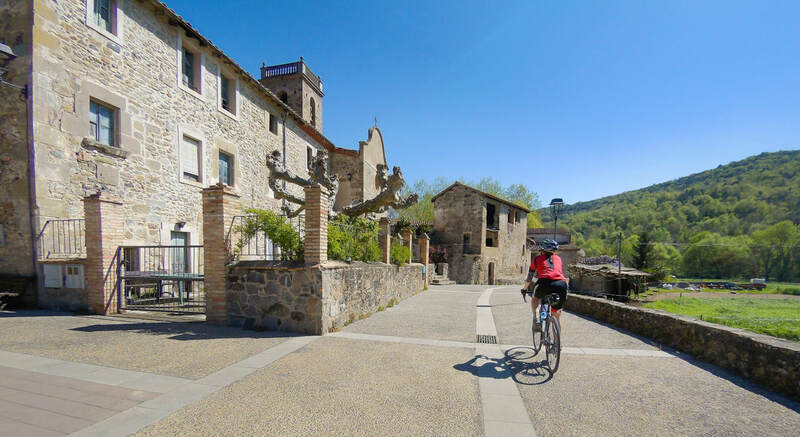 A good number of professional riders have chosen to call this area home because of its calm roads, little traffic, the superb combination of flat areas and a variety of climbs, its mild climate and great food and wine. 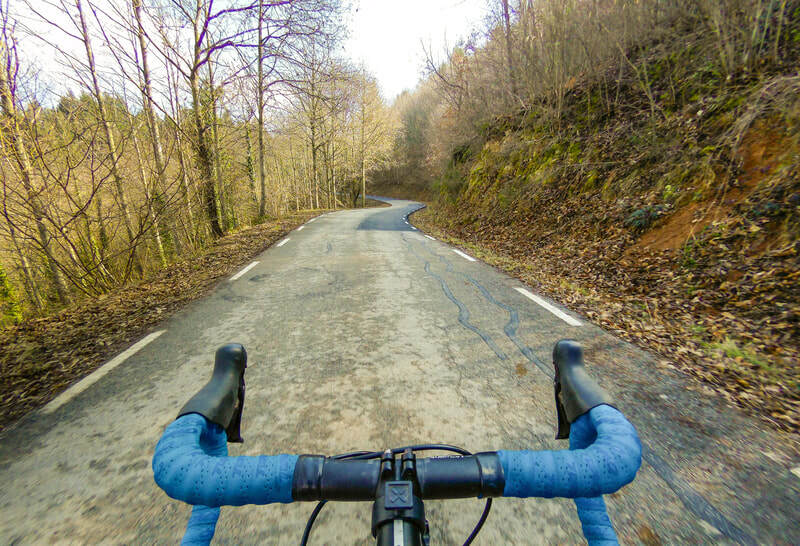 Catalonia boasts a remarkable number of quality cycling routes. 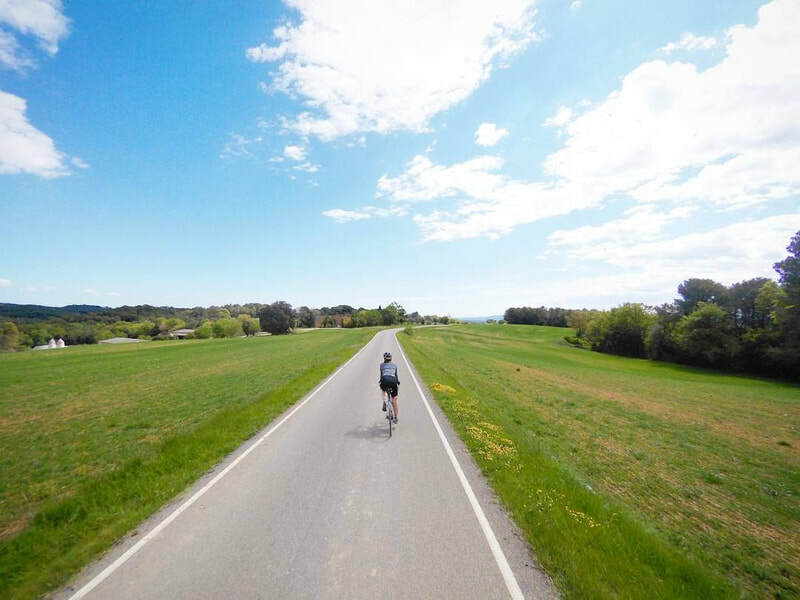 With great road surfaces and low traffic, the Girona area offers a flowing succession of scenic landscapes that has all the elements to keep a smile on your face as you pedal away: endless forests, pretty beaches, medieval towns... and even volcanoes! 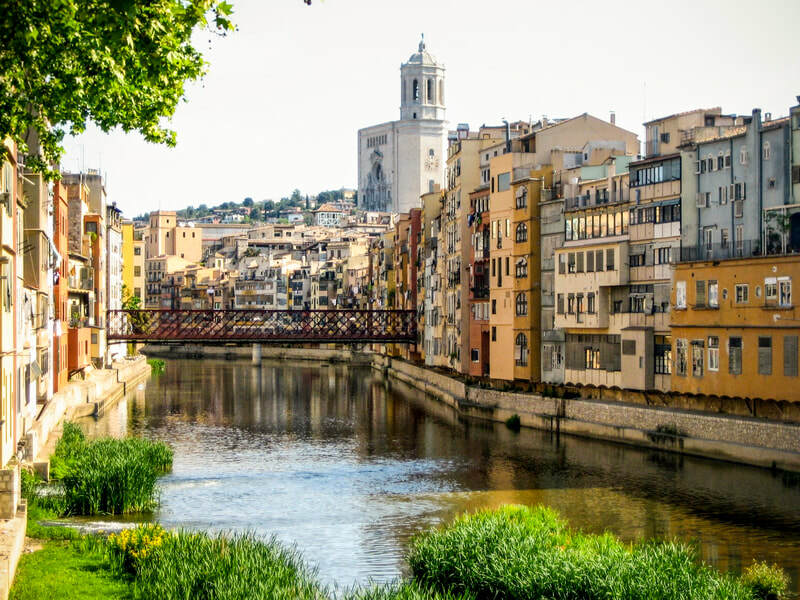 Add to that the fact that some of the best rated restaurants in the world are located in the Girona area, local markets are vibrant and fortunately most destinations for sight-seeing places are not crowded. 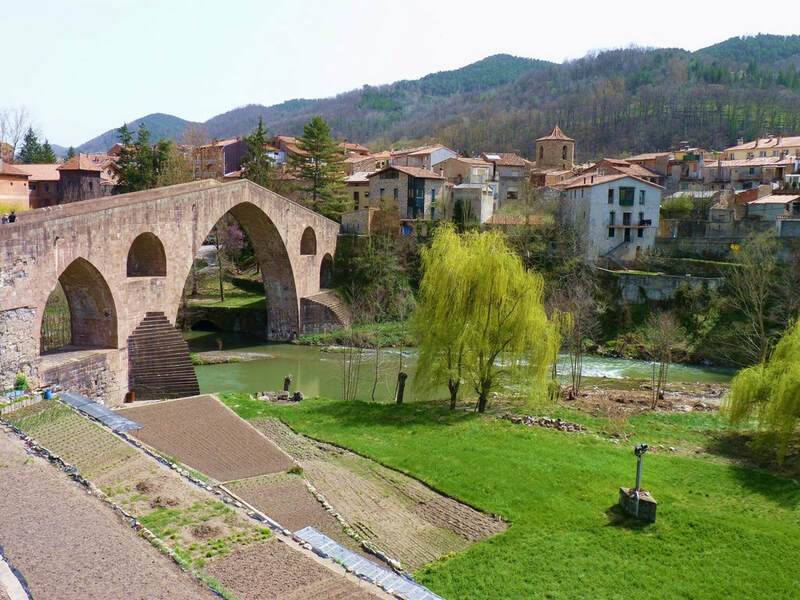 A zero traffic bike path ride through forests, fields and farms, as you discover the natural beauty of the little known Garrotxa Volcanic Area, along the superb old Narrow-Gauge Railway Route. 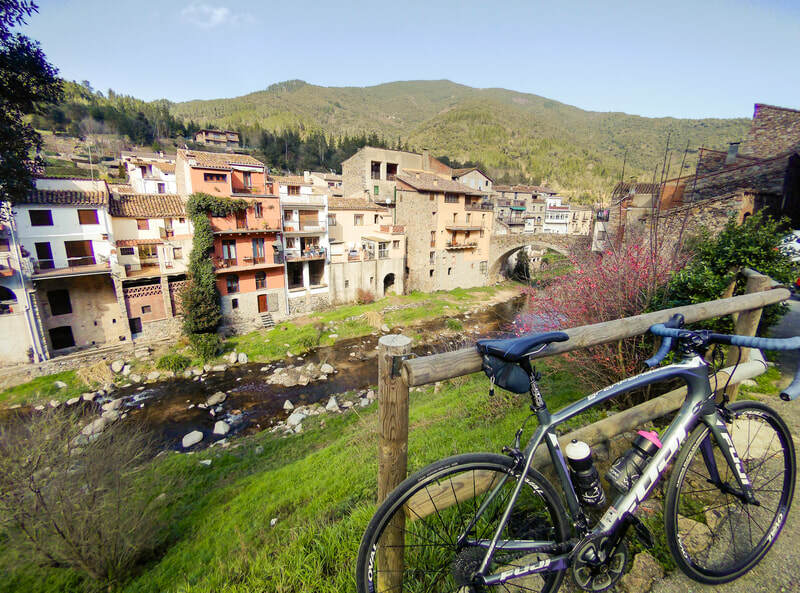 Today you head to the Mediterranean and one of the least developed parts of the beautiful Costa Brava, passing exquisite Medieval towns along the way. Today's short coastal stage will leave you time to be lazy, have a swim, or visit one of the most impressive Greek-Roman archaeological sites in Europe. 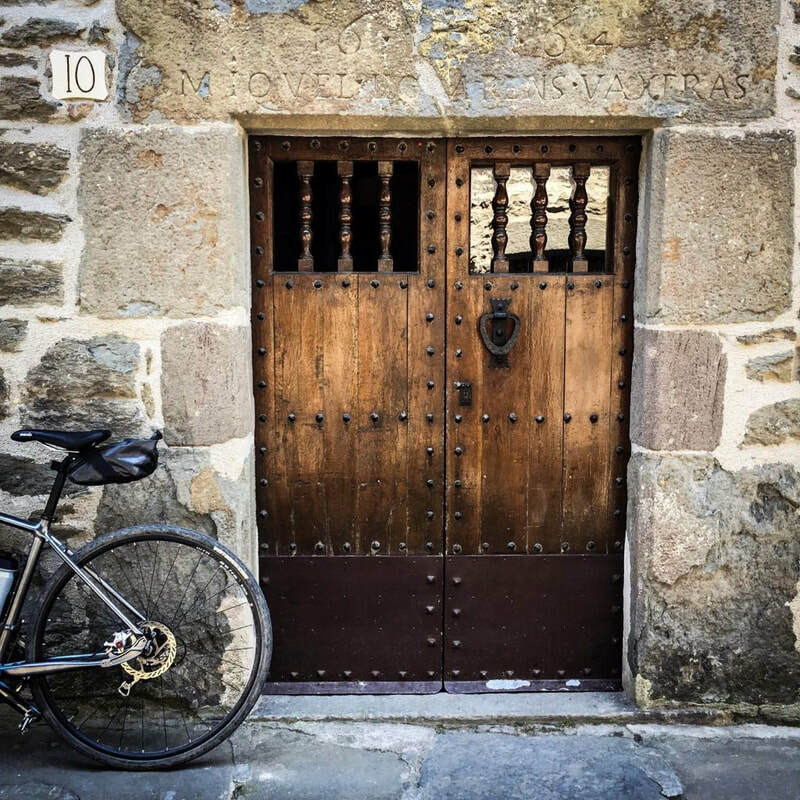 Today's ride takes you back inland in the direction of the lovely city of Girona, passing Salvador Dalí's iconic Castle of Púbol, before exploring Girona's old town, it's fantastic restaurants and the big cycling community that lives there. 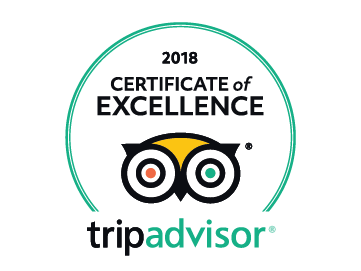 Comfortable accommodations with private, en suite bathrooms, ranging from boutique hotels to friendly B&Bs - all chosen for the 3 C’s; comfort, charm and convenience to sights. All the photos are of the actual hotels we use. Bags left daily at reception and collected by 10am. Extra cost for having a single room to yourself. 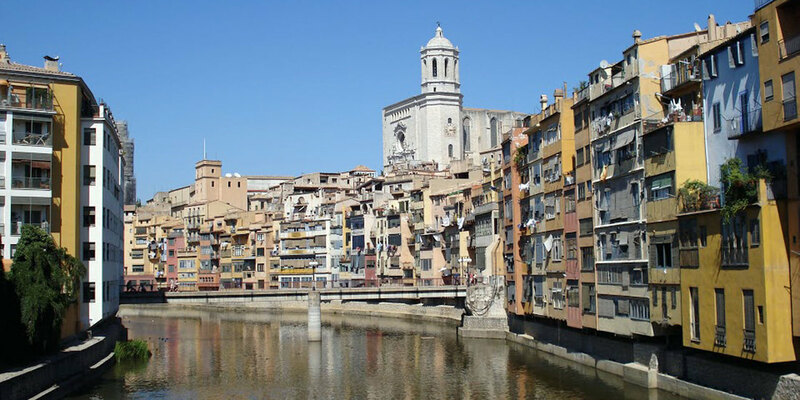 Barcelona to Girona and back - price on request. Knowledgable, well organised and great company. Hotel accommodation was above and beyond what I expected. The scenery was spectacular and roads quiet. 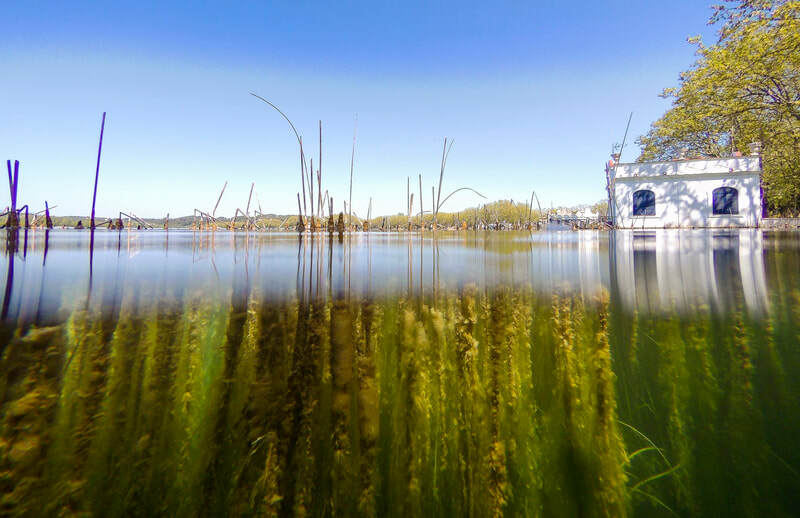 A great cycle holiday. E-bikes are available as optional upgrades for this tour. Why go electric? If you love cycling but don't like uphills or head winds, electric assisted e-bikes are the way to ride. 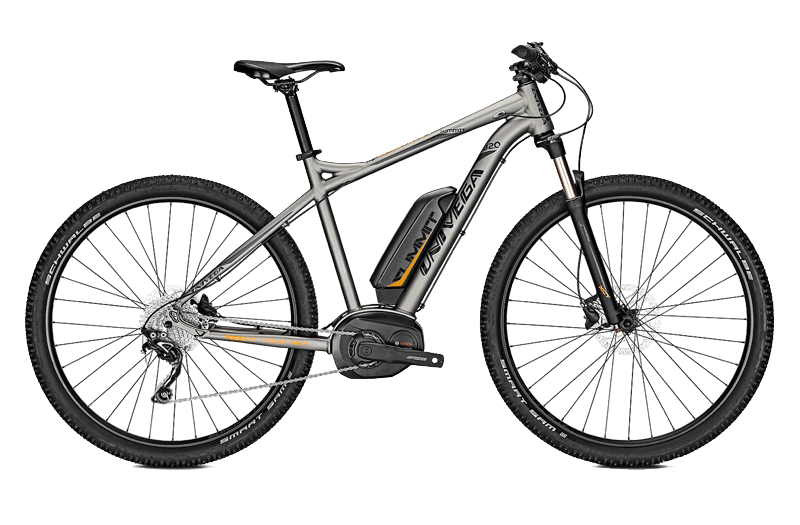 ​Our premium e-bikes feature powerful, German made electric motors and a high capacity battery.